Providers which have over-delivered on their apprenticeships contracts face a long wait to find out if they will be paid. The Skills Funding Agency (SFA) has written to providers who were expecting to hear back about their quarter three growth requests last week to inform them the announcement will take place following the government’s emergency budget on July 8. Under SFA rules, providers can over-deliver on their contracts at their own risk, and apply three times a year for money to cover the extra training. But the postponement of the announcement has led to concerns that apprenticeship funding, which the government has pledged to protect, could be affected by any savings announced on July 8, with even growth funding for 16 to 19 apprenticeships – seen as a priority growth area for the government – up in the air. 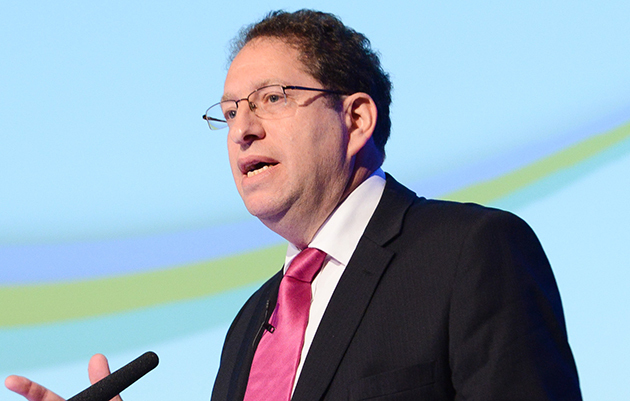 Stewart Segal (pictured), chief executive of the Association of Employment and Learning Providers (AELP), said he was “disappointed” by the delay. He said: “This is very late notice for providers that have responded positively to the government’s priorities. The delay will cause problems for prospective apprentices and employers who have made the commitment to the programme but will now not be funded. “Training providers have to make commitments to employers before they get confirmation of contracts. They take calculated risks which are based on previous experience and short notice changes like this will cause major issues. Even if notification is given soon after the July 8 Budget, there will not be time to deliver the growth by the end of the year. He said the delay also came at a time “when many providers were planning to increase the numbers of Traineeships and many young people and employers will not be able to delay the start of their programmes”. He added: “We have also talked to the SFA about needing a very flexible approach to managing any extensions to contracts after July 8 because many providers will not be able to deliver the growth they predicted because of the delay. It comes after the Treasury announced that £900m of in-year departmental savings would hit the Department for Business, Innovation and Skills and the Department for Education, with each department expected to save £450m as part of £3bn of overall cuts. The SFA is yet to comment. I think it’s outrageous. We deliver 16-18 apprenticeships in SMEs and we do it the hard way ie engage with NEETS, put them through a pre-apprenticeship, find an SME employer, convince them to give the young person a chance, make the placement and then start the apprenticeship. We worked hard to get our grade 2 Ofsted in March and so at last were allowed to apply for traineeship to fund the pre-apprenticeship. We monitor tolerances. We stick to growth point deadlines……and then we get this last minute block on progress. I’ll be escalating it for sure. So we need to grow Apprenticeships by more than a third over the life of this government in order to meet the 3m target and double Traineeships in 14/15. If you respond positively to the government priority growth areas you do expect one thing – growth! After a start like this who is going to take the government priority areas seriously? I don’t believe the new task force have actually met yet but tracking progress against the targets without ring fenced and increased funding to those who are delivering in these areas can only lead to abject failure. We were contacted by SFA via telephone yesterday to inform us of the decision to defer the outcome of our growth claim for 16-18 apprenticeships – to date we have received £200k and the additional request is for £75k to date – we have ‘spent’ this money. We will need further growth in year – the impact is potentially massive in terms of the final output for 14/15 and of course, our carry in for 15/16. This is not the approach to build confidence in the sector, nor to achieving 3m additional apprenticeships. Do we continue to enrol 16-18 apprenticeships in year? Will we be paid? We can only presume that we will be paid. Had one of those ten to five meeting about this with our MD yesterday evening. For providers with large numbers and apprentices wanting to progress what is the option? Put them on as a start now and hope for the growth case, have starts this contract year? Or wait and see what August brings because as of yet nothing is set in stone or clear. Also what about traineeships? Government basically use this funding to get more young people into apprenticeships and employment, but if there is no money in the purse what do they expect us to do? See we are lucky to have a study programme to infil 16-18 traineeships into but not many provider will be able to do the same. Also what about the subcontractors? If I’m an Appentice and I can see this mess… Surely the SFA can? Absolute outrage, we like the lady above create vacancies for our young people some of who are NEET and progress them into pre apprenticeship activity and then apprenticeships with SME’s, the impact of not knowing whether the funding is going to be there or not is huge. How can we plan when we are unsure of the outcome you really can not expect both growth and continued raising of standards when you don’t even know if you will be receiving the funding. As Poppy said if she can see this mess then surely the SFA can, an apprentice who was given an opportunity to grow and develop in to an excellent member of staff for some young people that opportunity is currently being taken away. My fear is providers will not have the cash in their contracts to start 16 year olds on apprenticeships the first week in July, will this push more to 6th Form or do we just take them and not be paid for the first month? All I know is we work tirelessly all year round to ensure young people are provided with an offer which suits their individual needs and then we may not be able to take them at the point of employment beyond words ! Continuing lack of clarity in relation to apprenticeship funding is having a detrimental effect within industry. How can providers and employers plan for short term commitment (let alone for longer-term) when Government changes course every few months. Furthermore, how can we hope to have an expanding economy when Government plays fast and loose with decisions which have such an effect upon those infrastructure projects which are so vital. We run a National Training Centre for the training of apprentices in industrial thermal insulation (power stations, petrochemicals etc). The Government should stop playing around with numbers and show some real support for their fine words. Ridiculous. How can the Government pledge 3 million additional apprenticeships and then refuse to fund the delivery of these?! June and July are absolutely key months for apprenticeship recruitment, particularly of what should be the main LEP target group of 16-18 year old apprentices. Schools will be telling their year 11s and their parents that employers want people with A levels or a dubious bunch of vocational qualifications delivered by school teachers in schools. Any hesitation in being able to offer an apprenticeship because of the lack of clarity of funding is unacceptable and needs both strong leadership and urgent action. Almost every week I meet young people who feel that they have wasted a year staying on in sixth form and leaving at the end of year 12, often still without their GCSE in maths or English. Frankly, I’m astounded! Who’s now going to have the confidence to push to deliver the new Government’s 3 million starts, or more importantly, to complete them??!! Not a good start to the new term of office…….. Unfortunately this now leaves us in a position that we will have to suspend any further intake for traineeships as we cannot afford to take the risk of delivering a programme that may not be funded. We have over the last few months spent time with dozens of employers developing work opportunities for employment and apprenticeship outcomes. We have also spent a vast amount of time screening and inducting JCP candidates for these positions. I have had to informed JCP and the Traineeship candidates , that these opportunities have been suspended until a funding decision is made. I have already spoken to two employers this morning, who have now withdrawn work placement opportunities for Traineeship candidates, as they need immediate starts to fill potential apprenticeship vacancies before the end of this calendar year. The reality is that decisions on growth will not be relayed to providers in this contract year so we all now need to proceed on faith. Subcontractors will be the first casualties of this self-inflicted crisis as primes seek to withhold either new business opportunities or in-programme payments. I just can’t understand why the growth decisions are being delayed given that we are talking about growth payments from an existing budget. The SFA I believe had already made the decision provider-by-provider so what is to be gained by making a delay? Is the government reserving the right to reduce the SFA budget in-year? Don’t blame the agency for this. This is a simple reaction to a Chancellors decision which was not consulted upon. My message is to stay calm and it will all unfold positively over the next few days and weeks. Keep Calm Mr Mannering ! This is truly a backward step with employers and learners having to put the last 6 months work on hold. The damage caused will take years to recover and good provision will be lost forever. The impact on provider’s business is appalling having to take financial risk – this is yet another blow from the SFA and the unworkable performance management rules. The delay will be very frustrating for many providers but as a sector we need to consider how we can present ourselves as part of the solution rather than part of the problem. Unfortunately whingeing does the latter. We are not currently held in the high regard that I believe is deserved. My organisation has been there with similar scenarios to the ones described above and it is indeed frustrating, particularly when we see first hand the impact that delays such as this have on the life chances of young people. However, we are only weeks into a new government and one that could not have expected to be solely in power. Hopefully we can have some sensible and constructive dialogue with funding agencies and government ministers to see how we can effectively take forward the priorities that have been identified (and some that are yet to be recognised such as the importance of non-apprenticeship programmes) and that we all feel passionately about. Do we believe that apprenticeships and traineeships really are the high/top priority that government utterances, including those in the Queen’s Speech indicate? This current funding agency caution certainly raises a doubt. If we believe that the political priority really is solid, we must retain confidence despite this funding agency caution, and continue with dynamic growth plans despite the apparent business risk. Officials and Ministers must realise however that such statements will always have a significant debilitating and de-stabilising impact on their critical supply chain. Chance of course to push both top officials and Ministers at the AELP Conference 22/23 June. This is very poor, how can a business expect to operate in this way? It just would not happen in any other sector. We have significantly altered our business to recruit 16-18 year old apprentices to meet government priorities and now this… and at such short notice when we have already recruited and made commitments to employers over recruitment of young apprentices – I am shocked by this news.